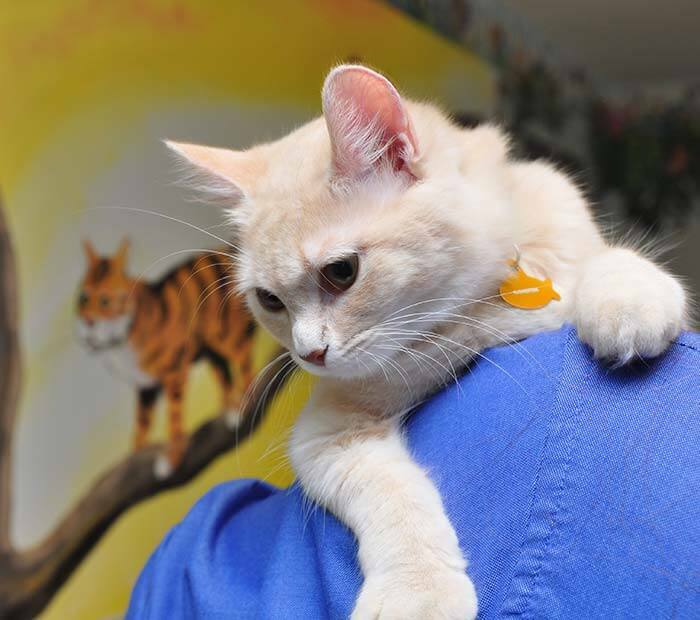 Help your new addition put his/her “best paw forward” with Winter Park’s exceptional Kitten care! Congratulations on the addition of your new family member! At Winter Park Veterinary Hospital, we look forward to welcoming your new kitten into our family as well! We enjoy assisting our clients and their families as they guide their new kittens along the exciting journey to exceptional health and lifelong happiness! Our veterinarians at Winter Park Veterinary Hospital have designed detailed kitten care programs that both includes thorough evaluations and provides pet owners with the guidance and information they will need as their new family members develop. When you pick up your kitten, remember to ask what and when he or she was fed. Replicate that schedule until your first kitten visit with us. We will discuss your kitten’s breed, anticipated lifestyle and nutritional needs with you during your first kitten visit. You may have to kitten-proof the area where he or she will spend most of his or her time the first few months. Ask us for kitten-proofing ideas. Once you think you've completely kitten-proofed, lie on the floor and look around once more to get a kitten's-eye view. If you have children, please remind them not to overwhelm the kitten the first day. When you bring your kitten home, please schedule an appointment with one of our veterinarians for your kitten’s first wellness exam. This initial visit’s exam includes a thorough “nose-to-tail” physical evaluation, and allows for us to establish an individualized preventative veterinary care program for your kitten going forward. Scheduling your kitten’s first wellness exam will set the foundation for your beloved new addition’s long-term health, as well as establish a beneficial routine for future wellness visits. The first few visits will allow our veterinarians to complete your kitten’s initial vaccination series, dispense heartworm medication, and monitor any developing medical or behavioral conditions. Any prior health records that you received when you brought your kitten home, such as history of vaccines, deworming, neutering, past medical history, etc. If you any questions about your kitten, please give us a call. We are here to help. Contact us to schedule a kitten wellness exam for your kitten.